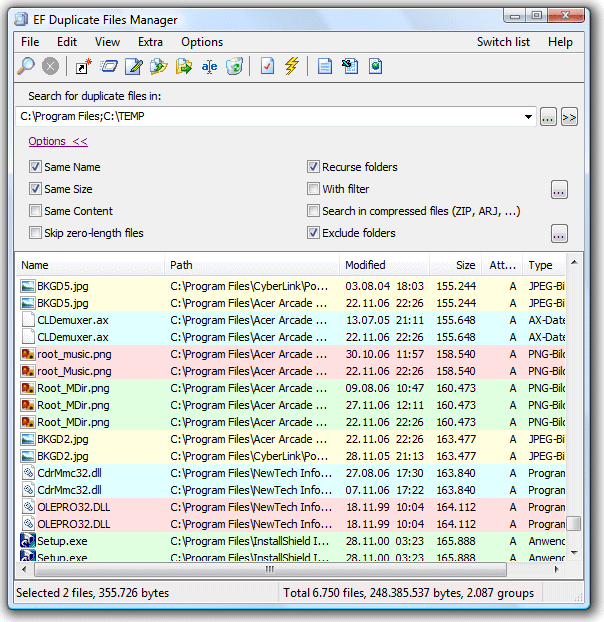 The EF Duplicate Files Manager looks if desired in multiple drives or multiple paths for dupes. Beyond that it is able to analyze the contents of archive files. 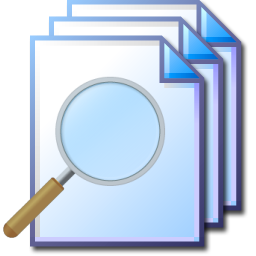 The most usual formats (7-Zip, ACE, ARC, ARJ, BZIP2, CAB, CPIO, GZIP, LHA, RAR, RPM, SFX, SQX, TAR, TBZ (TAR.BZ), TGZ (TAR.GZ), TXZ (TAR.XZ), XZ, ZIP, Zip64, ZOO) are supported as well as in image files (IMG, ISO9660). The following languages are included in the package: English, German, Arabic, Bulgarian, Catalan, Chinese, Dutch, French, Hebrew, Hungarian, Italian, Japanese, Korean, Romanian, Russian, Spanish, Swedish, Ukrainian. The EF Duplicate Files Manager supports now WCX Packer plugins for additional pack formats. Plugins are extensions with additional functions. No warranty provided. You use this modules at your own risk. Please note that this plugins are written by third parties. You can now use the plugin to search for duplicate files if use the Search in compressed files option.